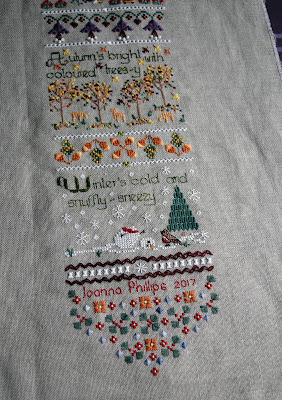 Last week I finally sat and stitched the last part in my Seasons SAL. 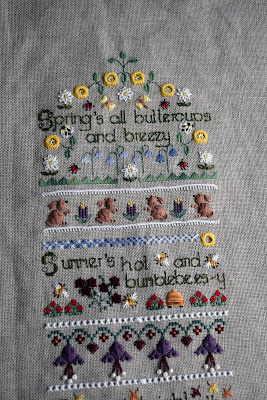 This is the project that I took with me on holiday to Northumberland and worked on quite a lot in the evenings. It's stitched mainly in DMC but I did have a few silks, Weeks Dye Works and a Crescent Colour thrown in. The colours are mainly the same few but for a couple of motifs I switched out to something different just to make it more personalised. 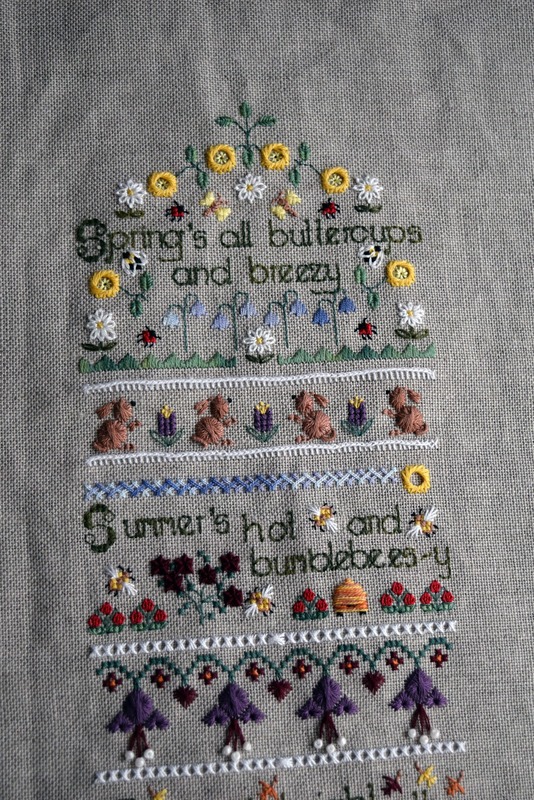 I've loved stitching this, it worked up really fast once I actually got time to stitch and I love how the finished project has turned out. 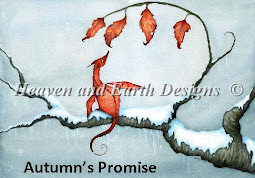 Now it's onto finishing my HAED and working hard at my CITA again. I am doing the new SAL which is called Peace in my Heart but waiting on fabric from Sparklies so I can choose threads. 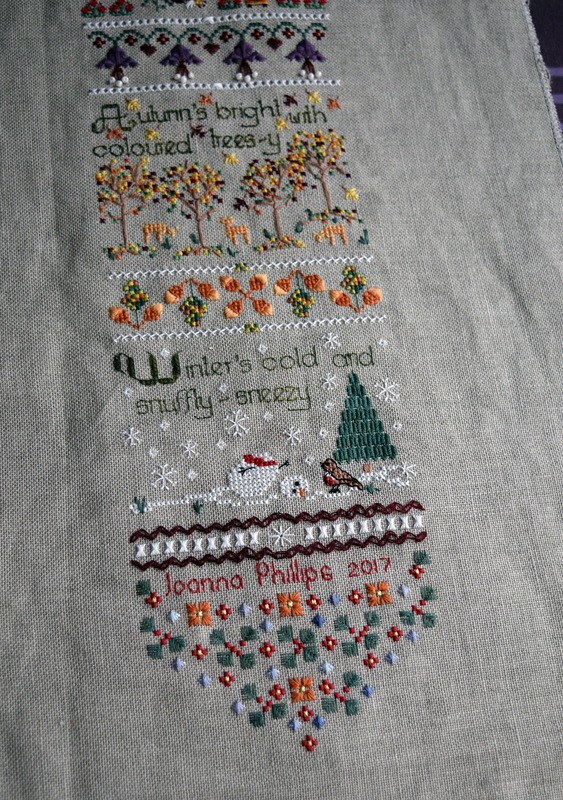 What an amazing finish, and so many different stitches! You did a wonderful job! I like the snowman too - it's nice to see funny touches in such an elegant design.